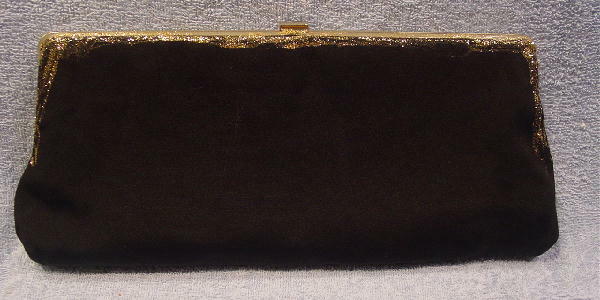 This black vintage peau de soie purse has a top closure. 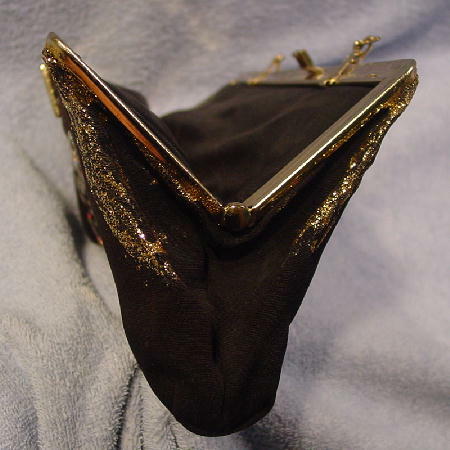 You lift up the gold-tone metal triangle to open and snap the top to close. Eden added gold glitter along the front and back and down part of the sides. 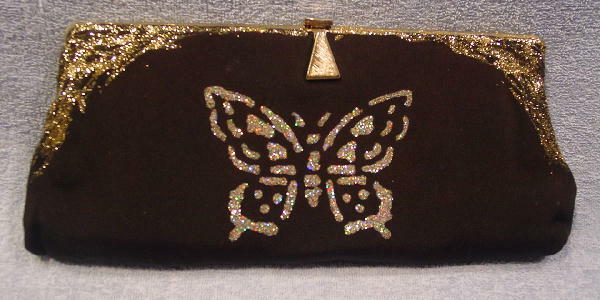 The front center has a multicolor glitter butterfly. 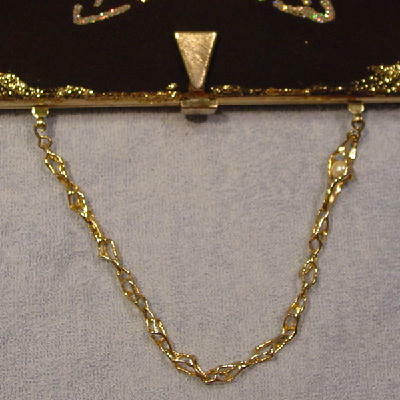 Eden also added a gold-tone interesting-shaped link chain with a faux pearl inside one of the larger links. 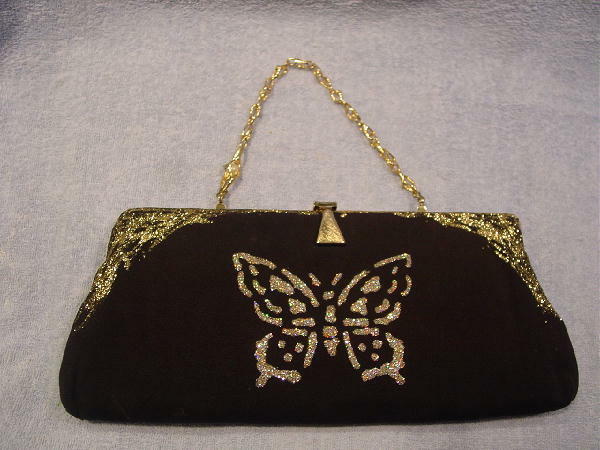 You can carry the purse by the chain or tuck it inside and carry it as a clutch. We thing it's more striking with the chain.